One of my absolute favorite Inbound Marketing success stories comes from my friend, Marcus Sheridan, who saved his pool company from bankruptcy by answering all the burning questions that prospective pool owners had on his blog. He poured all his knowledge, lots of time and devotion into this blog. Today his pool company is not only outranking other vendors for their brand names but he is so in demand, he has his inbound marketing consulting agency where he and his team teach other people to do the same. Why was he so successful? Because he did something that no one else did. He went the extra mile! Can you do the same? Absolutely. You have to do all that Marcus did — but that won't be enough anymore. The problem is, everyone is catching on now. Almost everyone is blogging now, and 76% of B2B marketers planning to produce more content than ever in 2016. So, you have to stand out among the rest. Go than go the extra mile. Today, we will give you a head start with these 58 things you should already be doing, but you probably aren't. Moreover, and most importantly: Use it. Save this article as a PDF Now! Pick a few projects right now that you can realistically do within the next two weeks and get started. 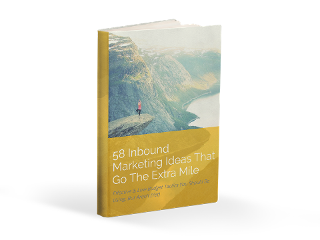 Then, sprinkle one or two ideas into your regular Inbound Marketing program to get so much more leverage! We categorized all ideas into buckets, and while you do not have to run through them in a strict sequence, they do build upon each other. For example, you will find that attracting enough traffic by upping your blogging game is crucial before jumping head-first into A/B Testing, or publishing a certain number of blog posts is needed before you can create an eBook from them. I hope you enjoy reading this, but even more so, I hope that this inspires you to dig in and get started right away! Verifying your website with Google and Bing Webmaster Tools is a very good idea because you will be alerted if there is ever any problem that will prevent search engines from indexing your site (e.g., when it is down). Once you are set up, you can submit your sitemap to Google and Bing and ask them to come and scan your site (especially if you have made a lot of changes recently). You can also access webmaster tools to track how your website is performing in search, which keywords your website is showing up for, traffic data for each search engine, other websites that link back to yours, and more. Google Analytics is another free tool any digital marketer should take full advantage of. It can help you increase sales, find more visitors and improve your business overall. Features include reporting on sales and conversions and insights into how visitors search for and use your site. Add a useful badge to your resume by taking the Inbound Certification, offered by HubSpot. This comprehensive marketing course, consisting of a series of short videos, covers the core elements of the Inbound Methodology of how to attract visitors, convert leads, close customers, and delight customers into promoters. 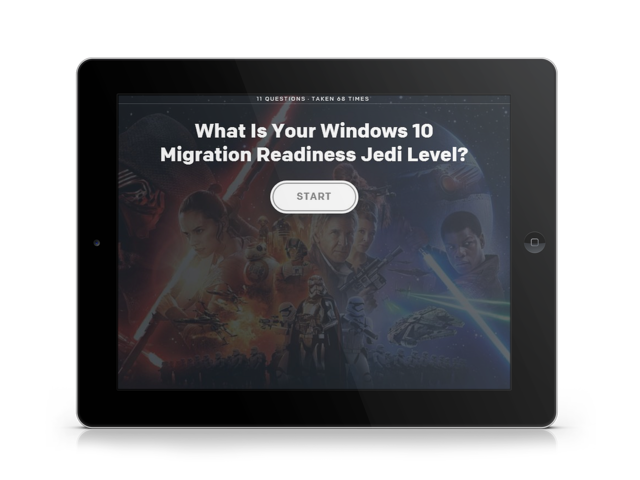 The self-paced curriculum introduces the fundamentals you need to get started. You will need to invest about 2-6 hours, depending on your existing knowledge, but the course and certification itself are free. To get an idea of what questions to expect, take our quiz before. You're probably doing this to some degree already and, if not, you definitely should start: To be successful in inbound marketing — and in anything else pretty much — you need to define what success looks like before you can track, analyze, and improve upon these metrics. Define a set of key performance indicators (or short KPIs) that you will keep a close eye on every day, week or month. These could be your visitor-to-lead conversion rate, your website's bounce rate, the number of monthly Marketing Qualified Leads generated, and so on. After combining all of these efforts, it is nice to know how you stack up against the competition. Tools like HubSpot’s Competitor Report allow you to actively monitor other companies within your industry to determine action items and benchmarks to increase your authority online. How well do you know your audience? If you are not getting enough visitors to your website, or if you receive consistently low-quality leads, you should revisit your buyer personas. Do some extra research to dial into your existing buyer personas and maybe even uncover new ones that can help you to better provide answers to their burning questions, target their interests, and overcome their reservations. Also, have you tried creating “negative” personas? Sometimes it can be just as valuable to pinpoint who your ideal customers are not. Now that you know who you should and shouldn't talk to, it is time to look at your existing content. The goal here is to find any gaps that you can fill within the next few months. For example: Are you missing a particular customer segment or persona from your content strategy? If so, you are currently missing out on massive lead generation opportunities. A content gap analysis will help you determine if you are talking to your entire audience and, if not, who needs more attention. Getting your website ranking for the right keywords can make or break your business. By researching popular keywords within your industry, you can pinpoint which terms and phrases to target in your marketing efforts, while also learning more about your target audience as a whole. However, be sure to align your findings with your buyer personas and the current stage of their research process. 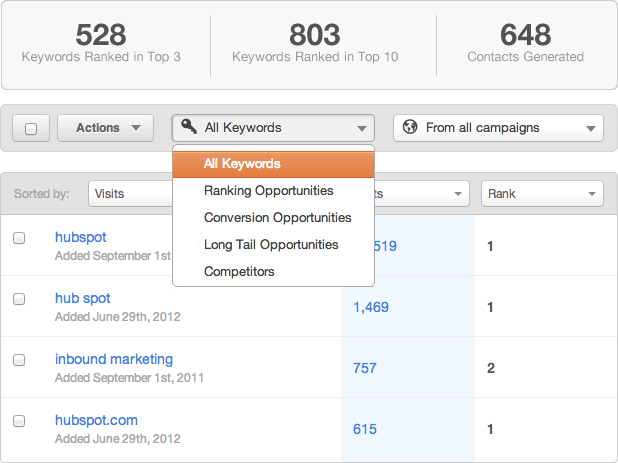 If you are using HubSpot, check out your ranking opportunities and your competitor's keywords for inspiration! An editorial calendar is a great way to stay organized, but it is also a valuable content management tool when building out your content strategy. Your editorial calendar allows you to better target your audience by strategically planning blog posts and any other content pieces (such as premium content like whitepapers, eBooks, etc.) around your buyer personas and their stages in the entire buyer's journey. It also enables you to make sure you fully take into account any particular marketing campaigns you need to support or upcoming holidays or seasonal topics. The format does not have to be anything fancy — a simple Excel spreadsheet (download our free template here), a Trello board, or even a dedicated project in your project management tool will do. 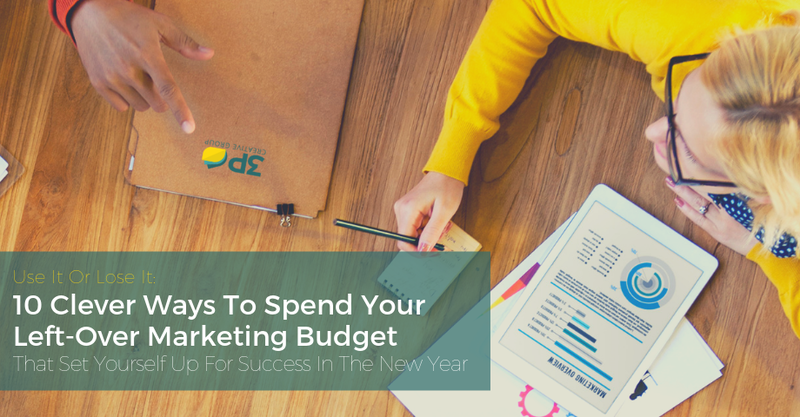 The important thing is that you keep using it to plan your content strategically. Add a meta description. It should be enticing and include long-tail keywords. While this will not weigh heavily (or at all) in your search ranking metrics, it encourages users to click on your link instead of your competitor's. Revise the title. 80% of the readers will scan your title, but will not read your content. So if you have an existing piece of content that just didn’t perform the way you thought it would try that. However, do not mess with the URL if you can avoid it. Link to other blog posts. As your cache of useful content grows, it helps to go back to older blog posts and link to newer blog posts. This will help users, as well as search engines, discover new content on your blog. Correct for spelling and grammar mistakes. If you find any errors, make sure to fix them. This will help readability, increase your credibility, and make you look better overall. Add (or update) a call to action. Your older blog posts that are still getting traffic might be missing this crucial lead generation tool. Alternatively, maybe they are out of date or not relevant anymore, so add or optimize them. Promote it on social media. Once you have optimized your blog posts, make sure to sprinkle them into your social media posts overtime to give them some additional love. You would be surprised how a few updates can impact performance. Awesome content that I published over the years still drives hundreds, if not thousands of visitors to our website every month. However, even the most evergreen content, which is content that is not related to a breaking news story but that stays relevant for a longer period of time, needs some updating. Look at your blog analytics to find your top five to ten blog posts that drive the most traffic and update the content if necessary, add new links where appropriate, and look at your calls-to-action. How is this blog post performing compared to other blog posts regarding converting visitors to leads? Are there new offers that are closely related that you should include? Ever wondered what happens if you stop blogging? In a self-inflicted experiment, WordPress developer/social media manager/SEO expert Robert Ryan saw his overall traffic decline by 32%, while the organic website traffic took an ever bigger dip of 42% after only eight months of not blogging. While you are probably not planning on taking eight months off, there is always a chance that you are needed in a strategic initiative that consumes all your time and resources; or a vacation, sick leave, or other events may prevent you from publishing fresh content on time. Using a quiet period to get ahead and write a month's worth of evergreen blog posts will give you peace of mind because you will have content ready to be published when your schedule gets tight. Hopefully, your blog is attracting hundreds, if not thousands, of readers every month that consume your blog posts. Depending on the length of the blog posts, they will have to read somewhere between 500-1,500 words, maybe even more. Since the average attention span of an Internet-surfing American adult is less than that of a goldfish (8 seconds vs. 9 seconds), your blog must have superb readability, be visually appealing, and have enough horsepower under the hood in terms of speed, reliability, and security. In summary, it needs to provide an outstanding user experience! So, give your blog a facelift to accommodate these growing demands and make your readers happy to keep on reading. A while back, CopyBlogger stirred up a big discussion after deleting their Facebook page since they saw no active engagement there. I am not suggesting you follow suit, but it is worth checking the engagement rate on each of your social media networks. As you can see below, I get almost all my engagement on Twitter, where I find I have the best conversations, and I spend the most time. Once you have found your most efficient and effective social media platform, figure out how to become a better social marketer in the space and invest most of your energy there. Keep auto-publishing daily on the other channels while focusing on building genuine relationships on your primary social network. By doing a Google search for the top keywords you are optimizing for, you can find influential websites and community members that have shared other people's content in your space before. 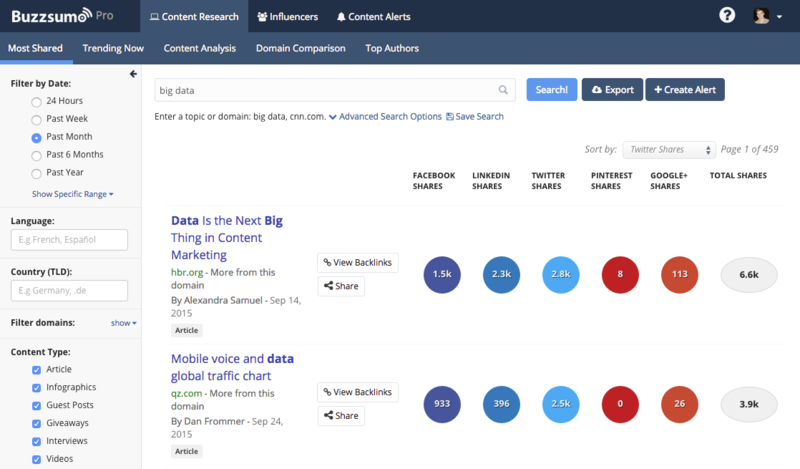 BuzzSumo is another quick and efficient way to pinpoint industry influencers in your space. With the click of a button, you can not only find content and influencers but analyze which pieces are currently performing best for any topic or competitor. By using social media, blog posts, and collaborating on content offers, you can build meaningful relationships with these people. Start as you would in real-life: by providing value to THEM without asking anything in return. Once you have established a relationship, you can ask them to return the favor. Guy Kawasaki, an angel investor, chief evangelist, and social media maven, posts content day and night ranging from politics to everyday life hacks. How does he do it? He has automated most of it, and he was able to do so by finding a handful of websites and blogs that provide him with the content he needs. It pays greatly to have a list on hand of 10-15 websites in your industry that consistently publish quality content that you can draw from for your social media posts. Once you have this list, scheduling should be a matter of minutes, rather than hours. Whether you are primarily on Twitter, Instagram, Facebook or any other social media channel that makes individual posts searchable with the help of hashtags, it helps to have a list of relevant hashtags available. You will want to ensure that they are not branded (e.g., #Olympics2016), are not used in other ways that are not beneficial to your purpose, and that they get enough traffic to be worth including. There are plenty of hashtag discovery tools available to make this easier. Put your social media management on autopilot by creating a posting schedule that takes certain events, such as industry conferences, holidays, special events, and even your marketing campaigns, into account! This will not only save you time every week going forward, but it ensures that your social media posts are consistent, interesting, and well-balanced. 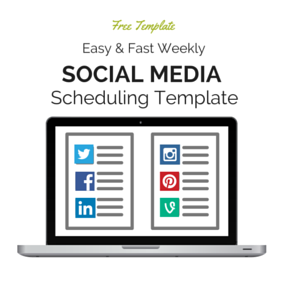 You can use our free social media scheduling cheatsheet for that! Host A Social Media "Ask Me Anything." What better way to establish yourself as a thought-leader and valued resource for your audience than to host an "Ask Me Anything" session. If you have an established following, promote your AMA days in advance, letting your followers know the dates and times when you will be answering their questions. You can create a hashtag to follow conversations on Twitter, Instagram, or Facebook, or start a group as an open forum for discussion. Thanks to intuitive and easy-to-use graphic design apps like Canva, creating custom social media cover images on a regular basis is a snap since the dimensions are already pre-set, and all you need to do is design your graphic. Most of these apps include some design elements or even images for free. If you use Canva for Work, you can take advantage of the Magic Resize Button to quickly resize your design for Facebook, Twitter, and more. For more detailed instructions on how to create a Facebook Cover, please check out this blog post. Facebook now allows companies to create call-to-action buttons on the top of their Facebook cover to promote an event, book an appointment, play a game or shop. Create a landing page for your next marketing campaign or, if you do not have an upcoming campaign, you can link to an existing landing page or an appointment booking or consultation scheduling page, and then add the CTA directly on Facebook. You can go back and update this on a regular basis. For the best results, you should coordinate your Facebook cover image with the CTA button! Being prepared is always good, but it is mission critical for social media! There are enough examples of entire businesses going down after a melt-down or an inappropriate response on social media. You do not want to be caught with your pants down, so to speak. So, don't be scared, be prepared — as Jay Baer put it so eloquently. Now that you have the basics down, and you have dealt with your blog, it is time to turn your attention to other content marketing assets that will give you additional ammunition in your content marketing arsenal. The fantastic thing about surveys is they can be used for just about anything! This is the most diverse way that you can learn about what is important to your audience and what motivates them, and is a way to gather meaningful opinions, comments, and feedback in the process. Use a free tool like Google Forms or SurveyMonkey to get started. Once you get enough responses, this data makes for great input for your blog posts and infographics. In contrast to surveys, quizzes are usually something that people love to take. They offer your audience a chance to learn more about a subject and themselves in a fun and interactive way that is easily shared with others on social media. However, quizzes are not limited to finding your Disney Princess soulmate, but can be used by B2B companies (even in "boring" or complex industries such as tech and healthcare) to generate qualified leads, drive social traffic, and present targeted offers to your audience. Websites like BuzzFeed have seen tremendous success using quizzes, and tools like Qzzr makes it easy. Our brains can process visual information 60,000 times faster than text — so it is only understandable that visual content drives more traffic and engagement than plain text does. And since a picture is worth a thousand words, well-researched and designed infographics provide you with an asset worth sharing and linking to. Impact Branding & Design has its Blog Post Topic Generator, HubSpot has its Website Grader Tool and many more, and PR202 has a Marketing Scorecard Tool. All these tools or even toolkits have something in common: They are incredibly helpful to visitors, prospects, and maybe even customers, so people just keep coming back for more. Some tools are gated (you need to give up some personal information to gain full access to the tool) while others are free and open for anyone to use. Besides the lead generation and website engagement benefits, successful tools can also position your company as a thought leader, give you SEO credit, and more. Are you an expert in a particular topic? Great! Consider creating a 15,000-20,000 word How-To Guide that lives on your website as website pages that are broken up into chapters. A great example of what that would look like is Neil Patel's Advanced Guide To Content Marketing. This technique is known as the "skyscraper method" and the goal here is to provide THE most in-depth, best-researched, and most helpful resource on the internet in the hopes of attracting a huge amount of website traffic, quality backlinks, and, of course, leads. Explainer videos are all the buzz now! Why? The answer is simple: people love videos, but they don't like reading a lot of text to understand what your company actually does or how your products works. Create a 90-second video to state the problem, give your solution, explain quickly how it works, and end with a conclusion. You can embed this video in your homepage, on your About Us page, or on your product pages. Tell your audience how they will benefit, rather than rambling on about features. Case Studies are a great way to get the attention of leads that have already further progressed in their decision-making process because they help your lead to evaluate and compare a potential solution. Start by stating the challenges you faced and how you overcame them, what tools or processes you used, and what the results were. If you can, support it with Return-On-Investment calculations or other data points that you have available. It also helps to add images and charts — but they do not have to be designed by a graphic designer. A simple Google Doc or Word document will suffice completely. Is the copy of the landing page clear, concise and error-free? Would the page benefit from customer testimonials or additional data points? Is the included image supporting your cause and does it add to the overall look and feel? Is there anything that could distract visitors from getting to the end goal (filling out the form) — for example, a slider? Is the form too long? Does it capture the right information? Are there any exit points (e.g. navigation, links)? Does this page serve more than one purpose? Or do you have landing pages that convert well, but don't attract enough visits? Maybe you need to write more blog posts that link to them, or you need to add more copy on the page itself? Be honest with yourself and use these answers to improve your landing pages — the results will make the effort worth it. When I started with Inbound Marketing years ago, I made a huge rookie mistake: I did not follow-up immediately with a friendly email. 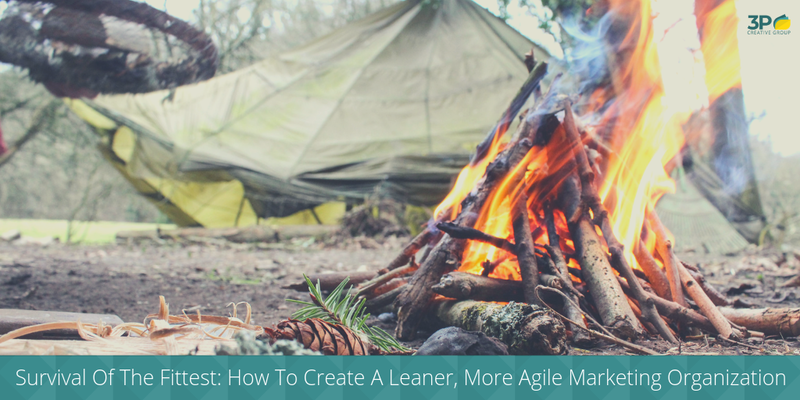 I was so busy creating a variety of conversion paths that I was not (yet) concerned about what happened after the download. Ideally, the lead reads your eBook, sees the call-to-action at the end, and voila — they give you a call. However, life does not work that way. Maybe they downloaded it to read it over the weekend, or they got interrupted. You have to send an email with the link to the download, maybe add some helpful blog posts around the topic of interest, and offer a consultation. To continuously add more value and provide new lead generation opportunities, you will also need to create new offers! According to MarketingSherpa, 60% of marketers have fewer than ten landing pages on their website. You want to be part of the 40% that have more because the more offers gated with landing pages you have, the more opportunities you have. To figure out what you should create, have a look at your buyer persona research. What is your ideal customer struggling with? What do you already offer? 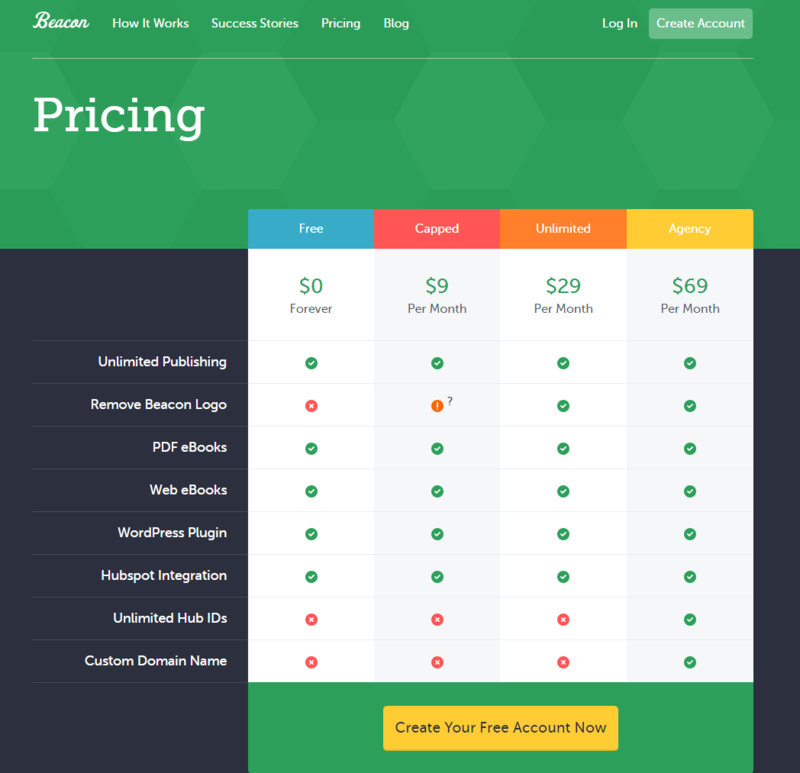 Then decide which premium content offer type you want to create and on what topic. No time to create new content from scratch? No problem. Don’t reinvent the wheel! Take a look at your already published evergreen blog posts. Are there any that build on each other to talk about a common subject? Great! You can use innovative tools like Beacon to generate lead generation assets such as checklists, eBooks and more within minutes. Webinars are a fantastic tool in your marketing tool belt and make for exceptional lead generation assets when done right. They allow you to connect with a specific target audience while establishing trust in real time. If you want to capture more leads but the thought of creating, promoting, managing and executing such a large project seems scary, we are always happy to help. According to HubSpot, the top 25% of their more than 15,000 customers have, on average, a visit-to-lead conversion rate of 3.1%. That means, if you can create targeted content that attracts 10,000 visits a month, you can expect about 310 leads. However, most companies have a conversion rate much smaller than that, which means they need to either attract much more traffic to their website or improve their conversion rates. One way to do that is to A/B test your call-to-action buttons to enhance the effectiveness of the text and design of your CTAs. If you currently use HubSpot, here’s a helpful guide. Often, we forget about the CTAs that live on the sidebar of our blog or website. Have a look at these and replace them with fresh offers on a regular basis to keep your visitors coming back. As a rule of thumb, you should include an offer for each of the stages in the funnel: top-, middle-, and bottom-of-the-funnel. Although getting a name and email address from your leads is useful information, your forms could be doing so much more — especially if your leads are further along in the decision-making process, and if they are more willing to give up some personal information in exchange for helpful content! Take lead generation a step further and test how many questions to ask — you do not want to ask too many or you will scare people off, but you also don't want to ask too few, or the information you gather is useless. Always keep in mind that you want to use form submission information to qualify your leads by asking company size, industry, title, etc. By asking more strategic questions on forms, you gather more information about your prospects, which enables you to create smart content — or so-called contextual marketing — to further guide them down the sales funnel. With Smart Content you can deliver content to targeted prospects that is specifically tailored to where a prospect is in the buying process based on the information you have. 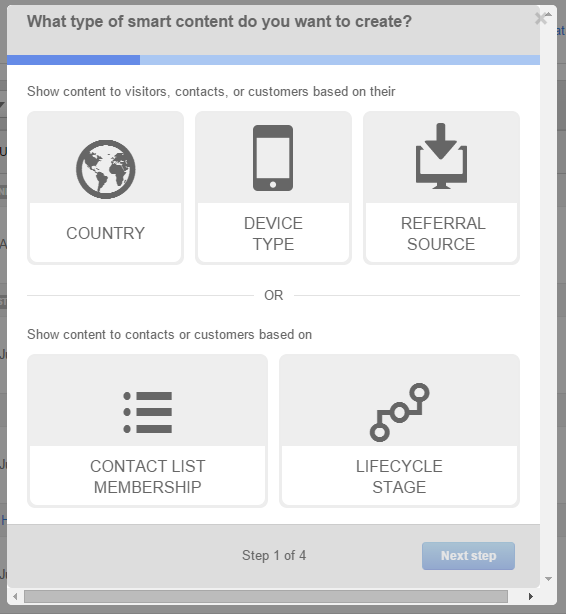 This allows you to swap out previously converted call-to-action buttons with new, further down the funnel CTA's, add geographically relevant content, and much more. If you need some inspiration on how to use contextual marketing, feel free to check out how we used it to help stroke patients test their visual field to gain access to therapy. Make sure you are checking in with your leads on a regular basis! Studies confirm that prospects need to be contacted an average of eight times before ever replying at all, so it can be easy to let them fall off. Lead nurturing workflows are a valuable time investment because, after the initial set-up, they will do the follow-up for you. You created a killer content piece and built a beautiful landing page. However, do not leave your leads hanging high and dry once they click submit and get redirected to the Thank You page. Add more conversion opportunities by optimizing the Thank You page accordingly. Your leads are interested and engaged right now — now is the time to encourage them to take the next step so that you keep those prospects moving down the sales funnel. HubSpot's all-in-one marketing software helps you optimize your website so that it's found by more prospects and converts more of them into leads and paying customers. Get more traffic, leads, and clients, and do it all for free. HubSpot will let you try their marketing platform for 30 days with no cost to you — and if you qualify, we will even set up the trial for you, including keyword research, and much more. One of our most successful clients had a huge navigation problem with their old website — most website visitors could not find the information they were looking for in the three little navigation points in the primary menu. Instead, they had to scroll to the footer menu. Make sure you map out the journeys you want your visitors to take on a piece of paper and then translate them into the navigational structure, because every aspect of your website ties back to navigation. Not only does your website navigation impact traffic and search engine rankings, but it also affects conversions and user-friendliness as well. Making a first impression is important and your website is no exception to that rule. The “About” section is your company's opportunity to clearly communicate your unique identity, demonstrate your value and share it with visitors. By reviewing and improving it every few months, you ensure that the information about your company is accurate and up-to-date. Heat maps are a visual representation of where your website visitors are spending their time and what they are interested in. Heat maps provide valuable data on where people are clicking (and where they are not), how far down your page they scroll, and where there are opportunities for improvement. Wouldn't it be nice to be able to reach out to visitors as they interact with your website? While a chat can only do so much from your end, it does give your visitors the option to reach out quickly and ping you with a question or concern they could not find the answer to by themselves. How do you feel if you are researching a product and you cannot find how much you have to shell out for it? Frustrated, right? Your prospects feel just the same way about your company if they cannot find the information they are looking for. So, even if you are not comfortable about putting up exact pricing, you can talk about the needed investment indirectly by addressing what factors go into pricing, what makes it go up and down, and what pricing structure they can expect. The quality of your contacts has a direct impact on your conversion rates when turning leads into customers, so cleaning out your contact database on a regular basis is a good idea. Start with people who have unsubscribed to communication from you, get rid of fake emails, merge duplicate contacts and watch those conversion rates rise. After you have cleaned up your contacts, you may still have a significant number of prospects who are still qualified leads but just won’t respond to your emails. Instead of just letting them sit in your database, break up with them! It may seem like a strange tactic but sending a break-up email changes the dynamic of your relationship with these prospects. Now you are walking away rather than pursuing, and you would be surprised how often this interaction leads to re-engagement. Email templates are a great tool for being more efficient in your communication, setting standards of communication and ultimately closing more sales. By creating templates, you enable everyone in your company to communicate in a thoughtful and strategic way with the click of a button. Newsletters can be a great way to engage with your customers and leads on a regular basis, keep them up-to-speed with new developments in your organization, as well as communicate blog updates, new resources and upcoming events. However, you have to build a subscriber list first. If you have very diverse buyer personas (let's say you offer RFID tech solutions to dairy farms, retail stores, and commercial builders) you will want to give your readers the option to select their area of interest and send highly targeted newsletters. Great locations for a newsletter would be, for example, on your blog sidebar, your footer, or your contact us page. You can also use Exit Intent Popups, regular slide-ins or pop-ups (e.g., LeadIn), or bars on the top or bottom of your page (e.g., Hello Bar). Keeping in mind what we said about newsletters above, creating a monthly (or even weekly) newsletter is a very good idea for many organizations as long as it is informational and adds value for your audience. By creating an email newsletter, you will get your blogs and content offers directly in their mailboxes, and you'll keep them informed about your products and services all while staying top-of-mind for a fraction of the cost of a print newsletter. Segmenting your lead database based on their interests, needs or behaviors is as easy as pie with the right tools — like a marketing automation tool such as HubSpot — and if you collect enough information about your contacts by asking the right questions in the form submissions and by tracking their behavior on your website through cookies. Why should you create lists? To better target your messaging to provide more value to your prospects and clients. For example, you can send an email to any leads who have downloaded a specific resource or who have been on particular pages on your website promoting a related resource. Alternatively, you can segment your list by geography if you have a regional workshop coming up. The possibilities are endless. Having a well-designed, mobile-responsive HTML template for your marketing communication is imperative. It helps to have templates for specific purposes such as a monthly newsletter template, a webinar promotion template or a product announcement template. If you are a HubSpot customer, you have access to the HubSpot Marketplace that includes a great variety of HTML email templates designed by Inbound Marketing companies. As a marketer, this might be surprising, but this easy and short certification by HubSpot will help you speak the same language as your sales guys and gals because you know what happens ideally after you pass on the leads. It consists of five classes that cover the basics of Inbound Sales — e.g., identifying potential buyers, developing outreach strategies, and building personalized presentations. You work very hard every day to provide your sales team with a consistent flow of qualified leads. You carefully craft blog posts, eBooks, and whitepapers that not only assist lead generation in the first place, but also enable your sales team to nurture those leads after you hand them over. However, 90% of the content that marketing creates does not get reused by sales. To get sales and marketing working together hand in hand, rather than against each other and constantly reinventing the wheel, hold a Sales & Marketing Alignment Workshop! You will be surprised at how much difference one day can make! In fact, organizations with good alignment between sales and marketing teams achieve, on average, 20% revenue growth annually. This makes sense because, from a lead/customer perspective, the purchasing process should be cohesive and smooth. Inbound marketing is the most efficient when it is backed by a company-wide effort, and now that you have marketing and sales on the same page about embracing inbound marketing and sales in unison, you should reach a formal service level agreement that determines the criteria of a good Marketing Qualified Lead and Sales Qualified Lead as well as your sales process. Your bottom line will thank you: 47% of companies see a greater return on investment once they implement a formal SLA between their sales and marketing teams. Did you know, that over 90% of the content created by marketing does not get reused by sales? Instead, sales feels the need to create the content they need from scratch, and often over and over again. Moreover, salespeople are usually great at talking, but not so much at copywriting, so for many businesses there is much room for improvement. Why not create an internal wiki where you can place each new piece of content as it gets published with the link to the landing page and a little context around it. If that sounds too complicated, even a simple DropBox or Google Drive folder will help significantly. Although a group rendition of “Don’t Stop Believing” doesn't seem like it could improve business, getting your sales and marketing team on the same page can. Although an SLA is essential to successful sales and marketing alignment, often more progress can be made outside of the office. Which of these ideas will you implement over the next 30 days and the next 3 months? I challenge you to put at least 5 of these tactics into action in the next 30 days and see what a difference it makes on your marketing. 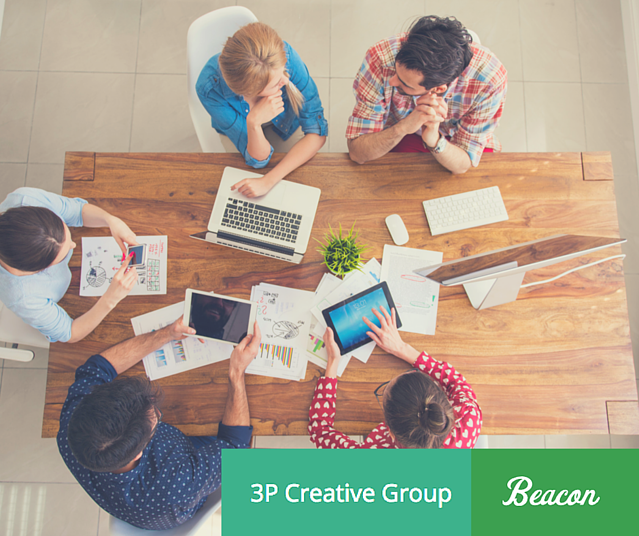 I would love to hear your stories, so either email me directly at hannah@3pcreativegroup.com or comment below.